Another School making a HUGE IMPACT. 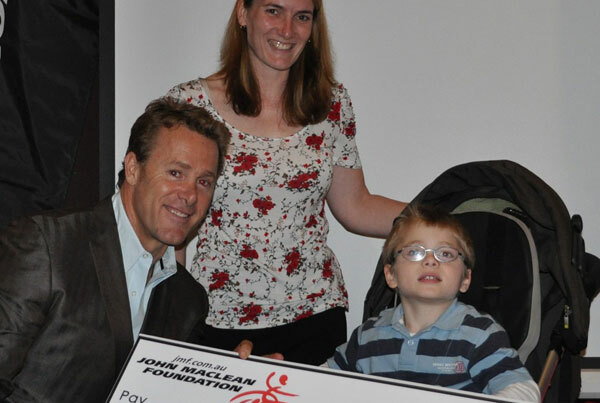 JMF Kids 4 Kids has two incredible schools that have supported participation in this years challenge. 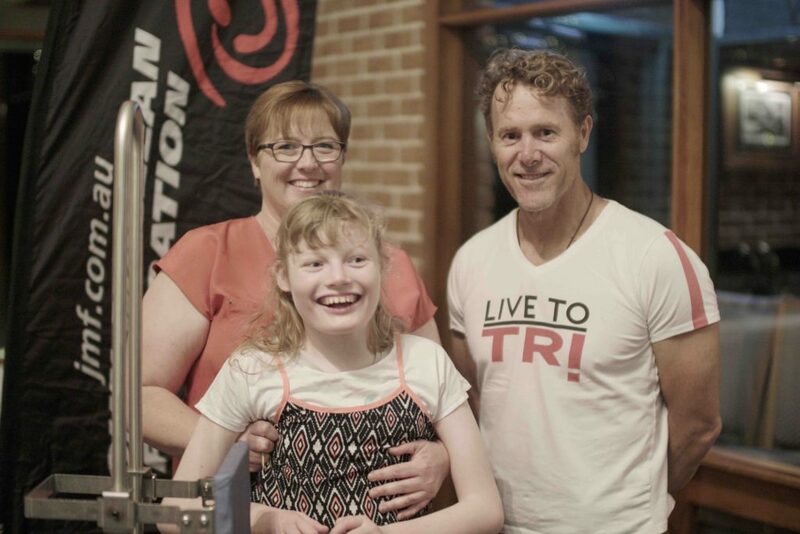 In Victoria we have Armadale Primary and in NSW St Paul’s Grammar are going to great lengths to become Ironman Triathletes whilst raising money for Aussie wheelies. Here are some stats from St Paul’s Grammar School. They have a total of 10 students participating; eight individuals and one team of two! They will cover a total distance of 2034km which equates to driving from Penrith to Mildura and back! You have to give credit to the seven 12 to 15 year olds that are doing this for children in wheelchairs! They have raised a total of $3,190.62 so far … HUGE Congratulations. [vc_row][vc_column][vc_column_text]John’s next epic adventure takes him to Philadelphia for the City to Shore Bike Ride supporting MS. He will attempt to cover 260km’s over 2 days on a conventional bike. 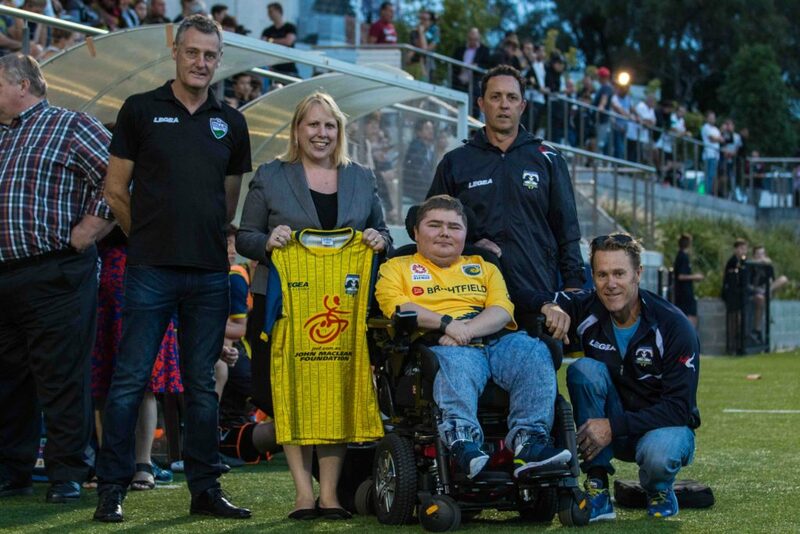 Nothing is too much for John who continues to inspire and give hope to Australian’s living in wheelchairs. 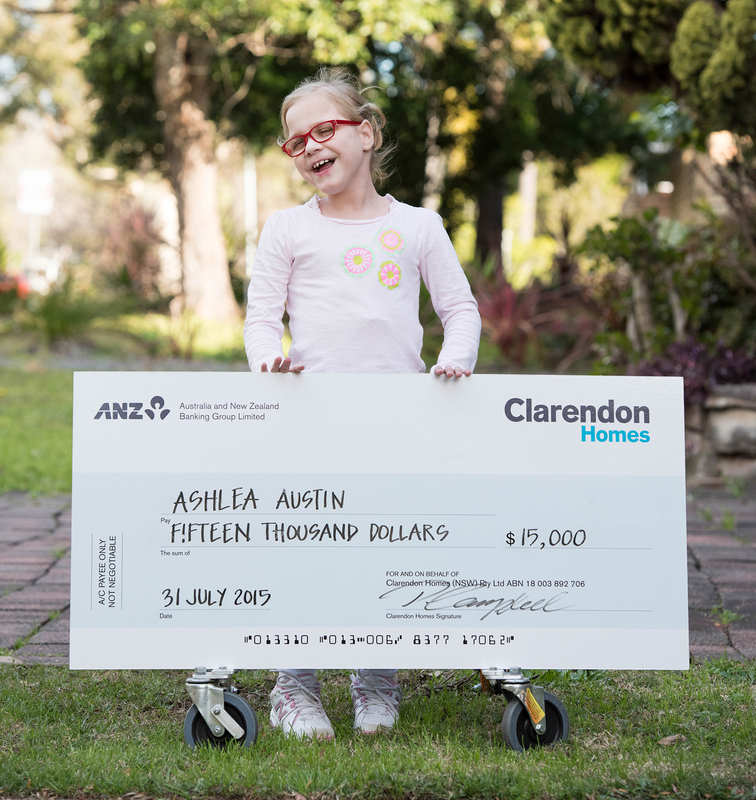 Lovely Ashlea and her family attended a Clarendon Homes Event last Friday in Sydney where she was presented with a Grant for $15,000. 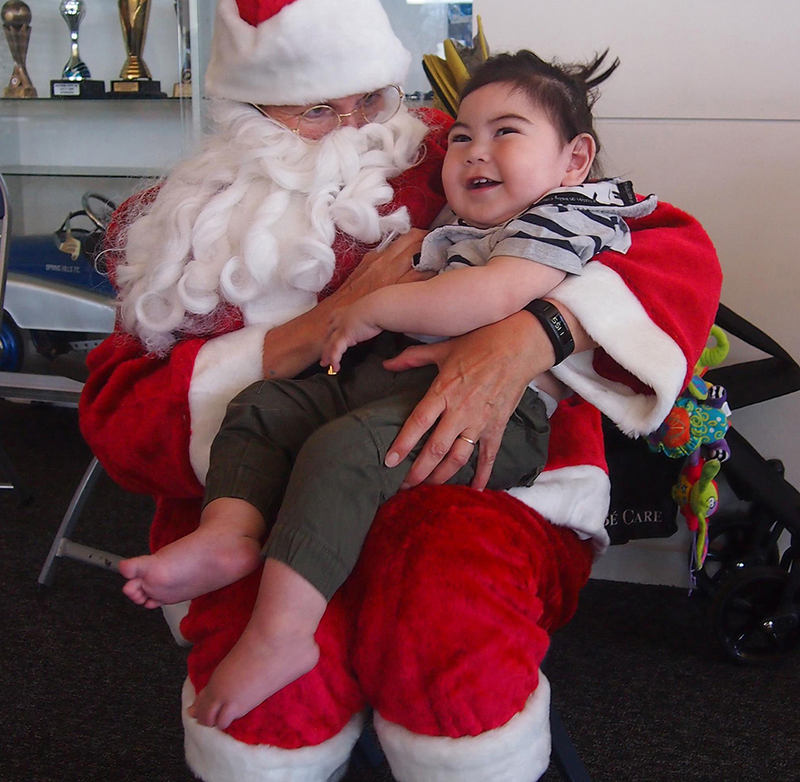 The donation from Clarendon homes has meant that JMF can grant Ashlea a brand new custom manual wheelchair and a Hi Low chair. 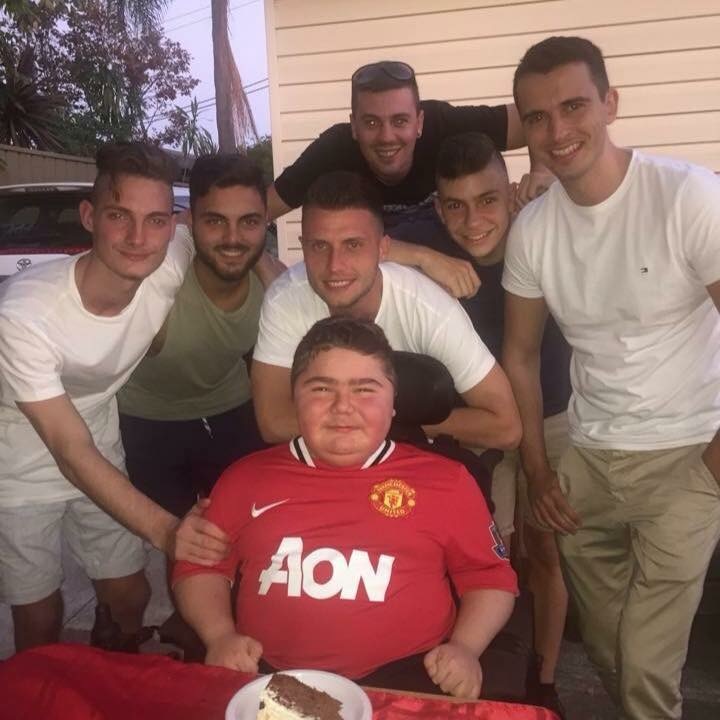 Without supporters like Clarendon Homes JMF cannot continue to change the lives of these precious little Australians. Beautiful Ashlea after receiving her Grant. A new manual wheelchair and a hi Low Chair will completely change her life and that of her families. We are so proud to have been able to help Ashlea and her family and shout out a BIG JMF thanks to Clarendon Homes.